Cero One is the ultimate compact electric cargo bike that is built to move you and all your stuff. Featuring a customizable modular cargo system, one-size-fits-most versatility, and top-notch components, the Cero One is the new solution for modern urbanites to get where they are going with all they need. 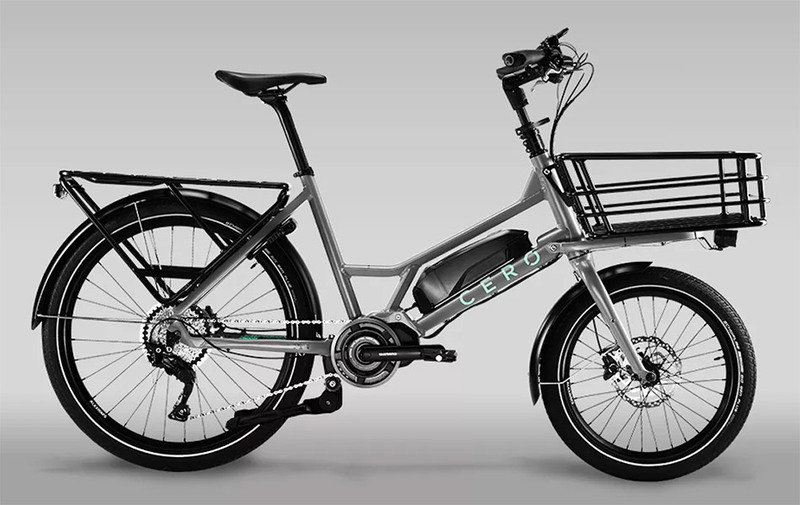 In addition to all the usual benefits of e-bikes--cheaper and greener than cars, and faster and more powerful than standard bikes--the Cero One offers more. Its 504Wh battery travels up to 93 miles on a single charge and its thoughtful engineering offers a stable, sturdy, and maneuverable ride--no matter what you're carrying with you.